Anyone who has attended a coordinated running event, whether it is a major city marathon, a local free five-kilometre parkRun or a race of any size and complexity in between, would know that these affairs don’t happen by themselves and require a massive amount of organisation. They need the help of local governments or councils, they need medical staff, they need emergency services and they need volunteers. So imagine what is going through the mind of the organisers of the ING NYC Marathon four days out from the race and only hours after Hurricane Sandy has blasted New York, flooded streets, closed subways and stretched emergency and government resources. This is a very challenging time for the people and City of New York. The City is rightfully focused on assessment, restoration and recovery. At NYRR, we stand with our City agency partners and support their efforts. The Marathon has always been a special day for New Yorkers as a symbol of the vitality and resiliency of this City. NYRR continues to move ahead with its planning and preparation. We will keep all options open with regard to making any accommodations and adjustments necessary to race day and race weekend events. 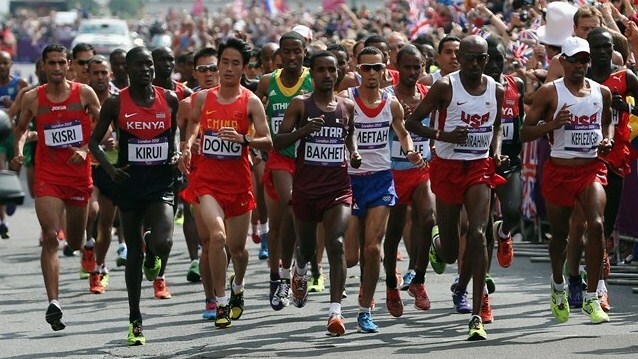 New York City Mayor, Michael Bloomberg, has declared that the marathon “will go on as normal, as of now”. 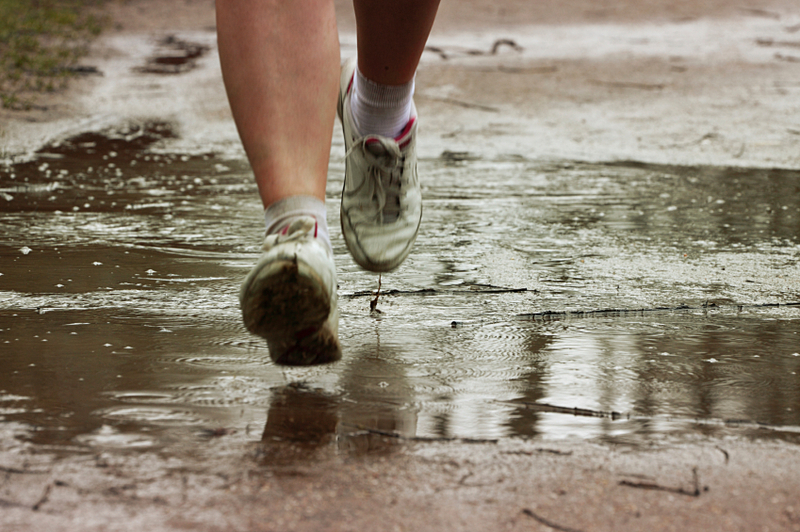 NYRR will reportedly work with the local government officials to determine the impact of flooding and damage and assess what race modifications may be necessary in the wake of superstorm Sandy. 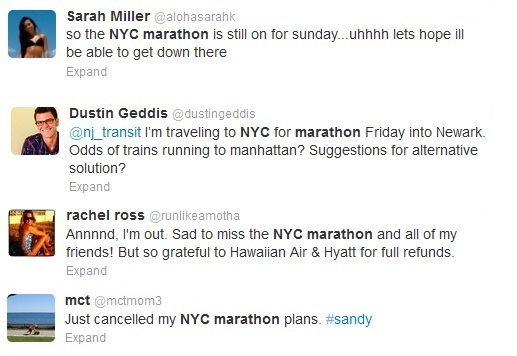 In addition to the sheer logistics of organising the event on the day, thousands of entrants and their families and friends are stuck in the chaos resulting from the cancellation of more than 16,000 flights nationally due to Sandy. For many, the marathon will have begun long before the official 26.2 miles kicks off. Even the elite athletes are caught up in the delays, with organisers rescheduling flights in order to ensure they can attend. Sadly for some runners though, the disruptions have meant the end of the race before a step is taken. In addition to flight dramas, flooding in the subway will further hamper transport options for those who do make it to NYC, and historically 25,000 entrants travel on the Staten Island Ferry to get to the start line. These complexities mean that while the race may still go ahead, it is likely to be a significantly smaller field than usual. Further information will be provided closer to the event, including any potential changes to course. It is important to note that the marathon course itself does not pass through Lower Manhattan, which experienced the most flooding and power outages. We certainly hope that the event can be run smoothly and entrants can put their months of training to the test.